Next Generation SmartCup with Visa payWave has been recognised as an ABA100 Winner for ECO Innovation in The Australian Brand Awards 2018. 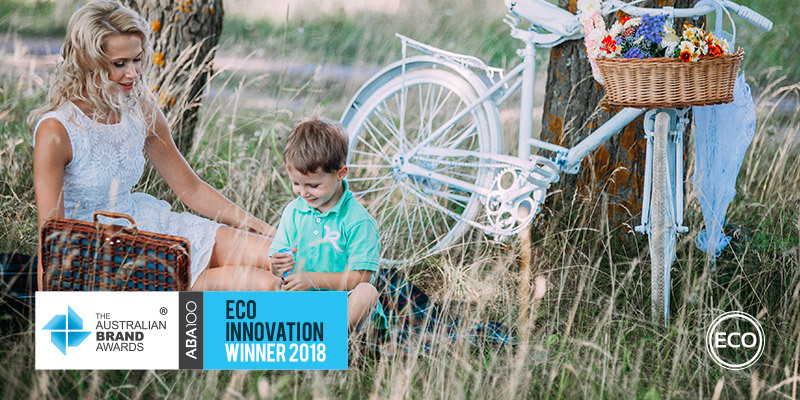 The Australian Brand Award for ECO Innovation recognises environmentally conscious products that provide innovative solutions for consumers. frank green is a Melbourne based, Australian brand that started with an honest approach to sustainability – reducing single-use waste by reimagining reusable cups and bottles. During his corporate career in mergers and acquisitions within the waste management sector, frank green founder Ben Young realised that recycling needs to used as a last resort, and that changes in behaviour before we create waste, should be prioritised. With this is mind, research was conducted to understand why, with existing options available, reusable coffee cups and bottles were not being used in every instance. On the basis of these findings, Mr Young embarked upon four years of significant personal investment, research and development to produce the SmartCup and SmartBottle with the intention of meeting the consumer’s aesthetic and functional needs within the sustainability category. The Next generation SmartCup with Visa payWave has revolutionised the reusable product category by fusing superior function and desirable aesthetic with Visa payWave technology. The SmartCup is renowned for its spill-proof, secure screw-down lid, optimal liquid flow, and beautiful form engineered to optimise hand fit and feel. It comes in a wide range of on-trend, regularly updated and customisable colour combinations to suit one’s own personalised style. In addition, the innovation extends beyond its form and function as reusable cup to include payment capabilities via inbuilt SmartChip and companion app. The SmartCup is embedded with a SmartChip in its base that when activated will allow you to pay for anything (up to $50 value), anywhere that Visa payWave is accepted. The product works much the same as a payWave enabled credit card – by simply waving the bottom of the cup in front of the contactless terminal until it lights up. The chip is activated via the frank green pay app which guides users through a simple set up to link their account to the chip. They can then choose how much money to load onto the cup (up to $200) and top up whenever needed, manually or automatically. frank green’s purpose is and always has been to inspire and motivate people to live more sustainably by designing and producing aesthetically beautiful and superior performing lifestyle products that meet the highest quality and environmental standards. Their products are distributed in 36 countries globally with offices and warehousing in Melbourne, UK, USA and Asia employing over 40 people.